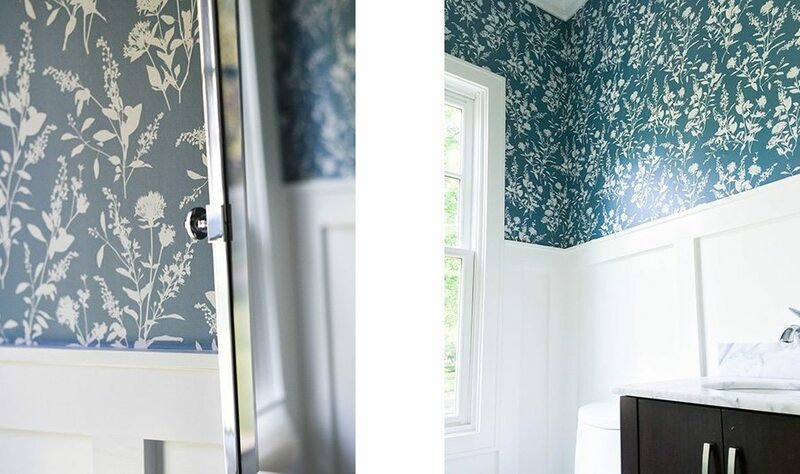 Based in Chicago, Cecilia (often referred to as Keki) is a professional interior stylist and stager who knows a good wallpaper when she sees one!  Along with being a successful interior stylist and stager, Keki is also the creative genius behind Home With Keki, a home interior blog and Instagram showcasing her own, as well as her clients, renovations. With close to 8,000 Instagram followers, Keki is one of our favorite influencers and we’re so happy she chose Milton & King to help renovate her client’s powder room. 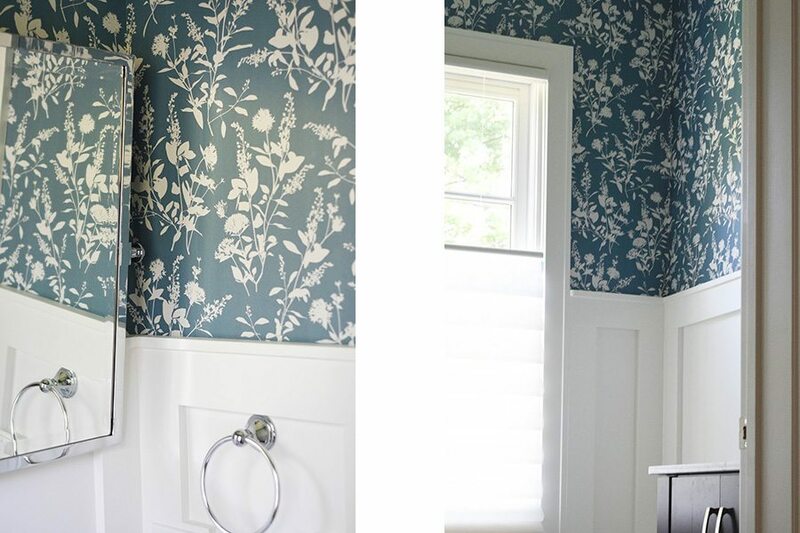 We love how she has used our Wildflower wallpaper by Joel Dewberry as an accent in the room, only installing it on the upper half of the walls. 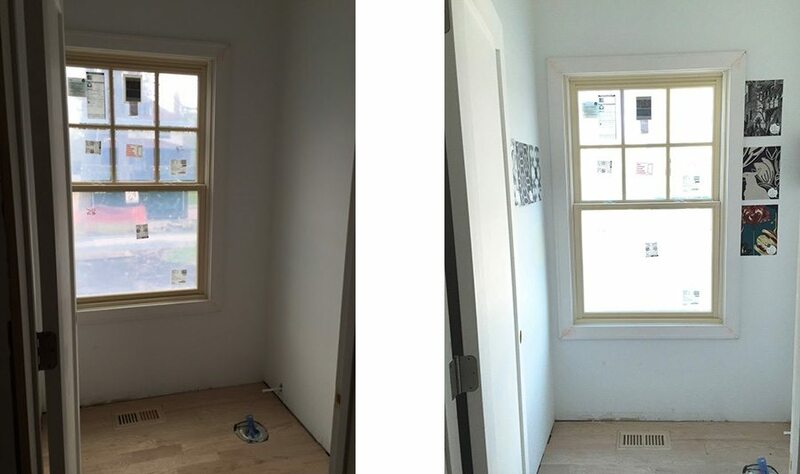 You can read all about the renovation on her blog here or you can check out the process in the photographs below! If you are afraid of using a bold pattern, do what Keki did and use it as an accent rather than a full feature. You can get some more inspiration of what else you can do with our versatile wallpaper by reading our blog post 16 Wallpaper Projects To Try.